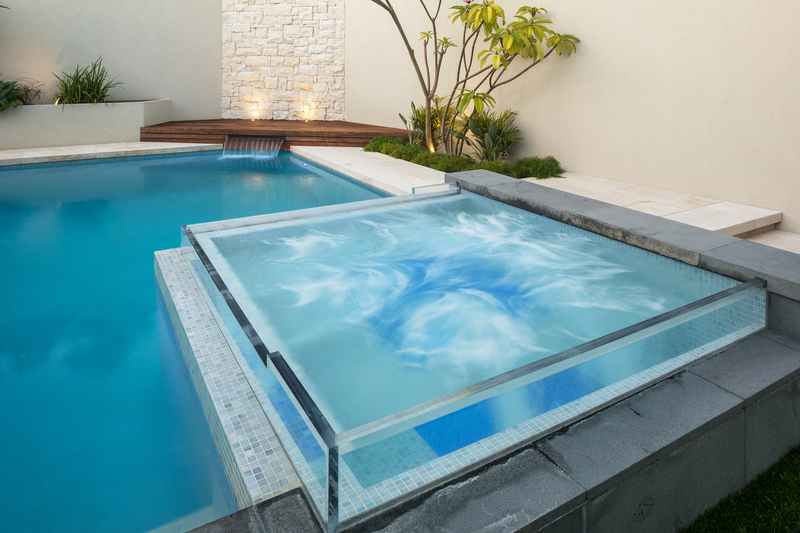 This courtyard plunge pool reflects our clients opulent taste in finishes which is apparent throughout their home. 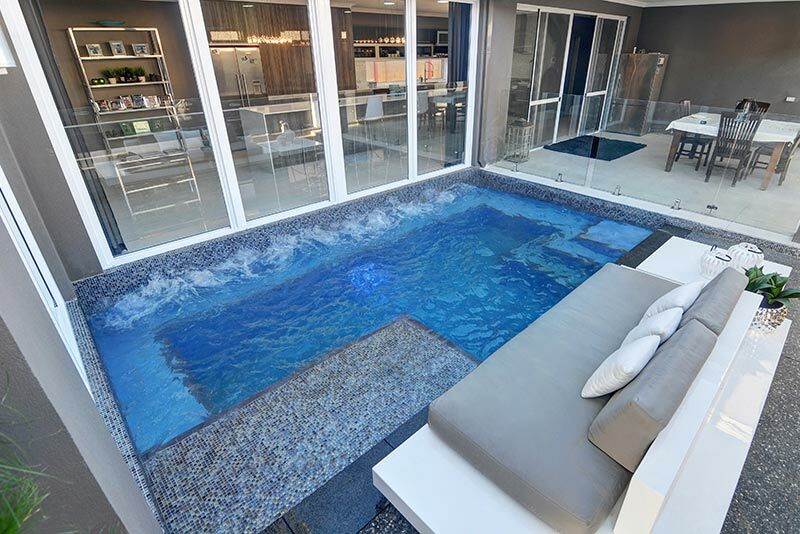 High quality glass mosaics were selected to follow the theme through to the pool zone. 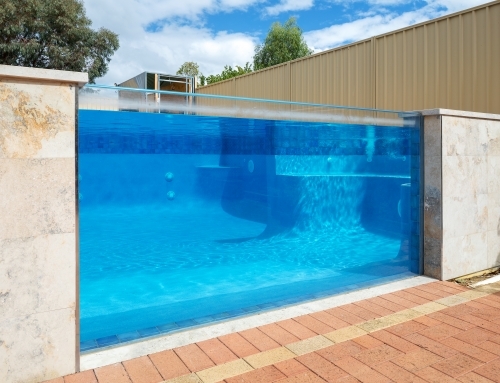 Installed prior to the house build allows for the pool and home to integrate seamlessly. 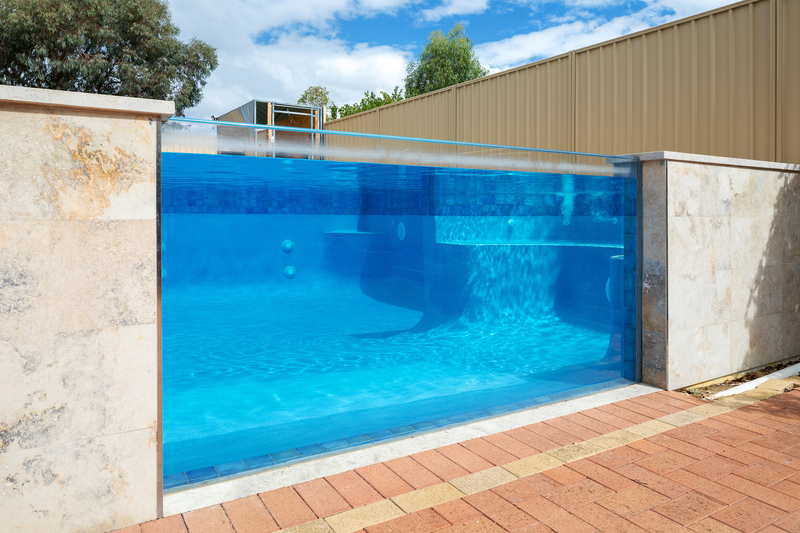 A flooded sunpod was constructed allowing bathers to bask in shallow water. 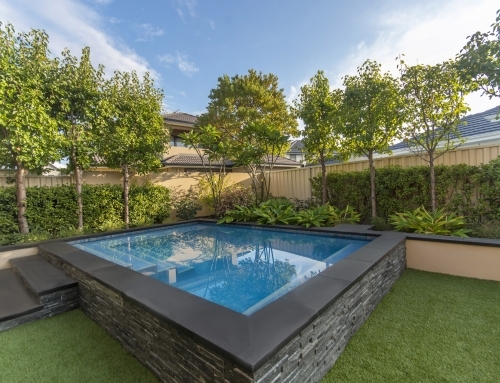 The bench provides access for servicing/cleaning the windows, but also has an air bubbler line installed as a fun feature for our client’s young family. 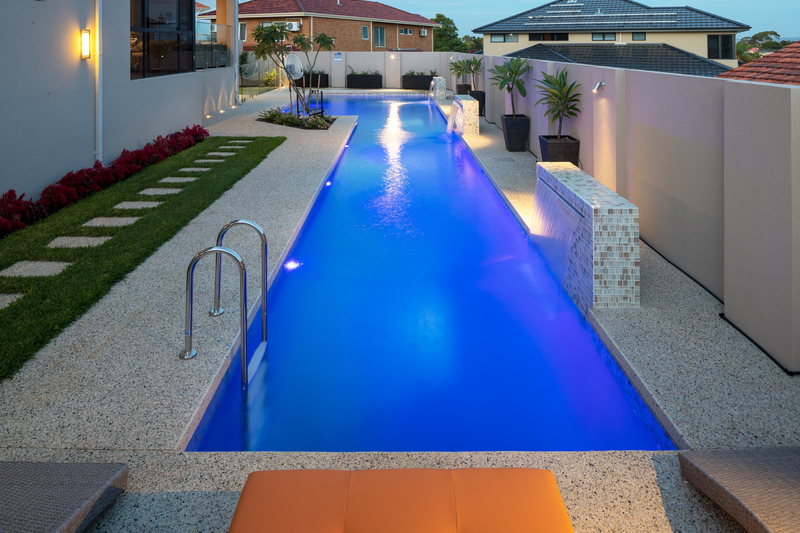 LED’s bask the pool in a deep blue hue, calming waves of reflective light dance throughout the living and outdoor space. 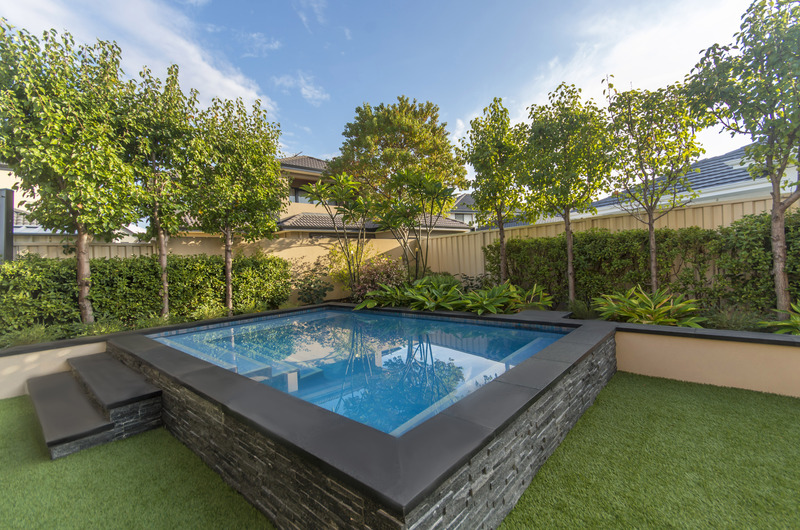 Pools by Design are proud to have been presented with the Gold award for this plunge pool at the 2014 SPASA WA Awards. 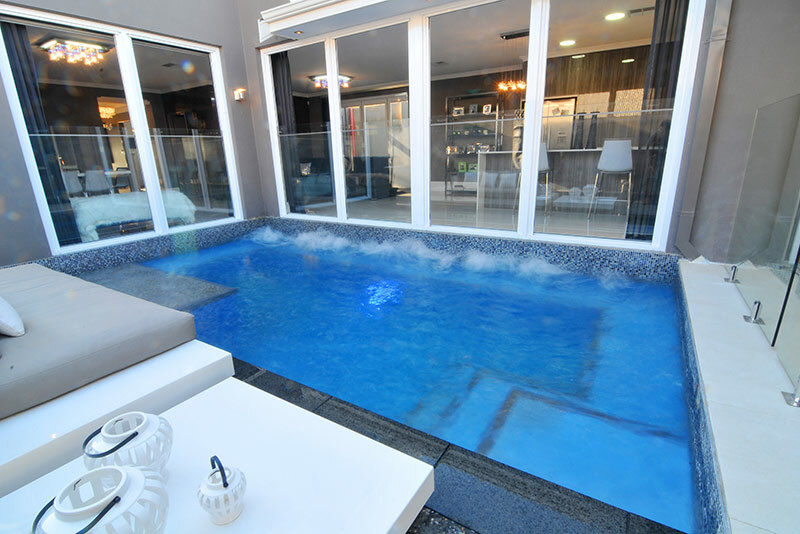 Winner in the SPASA WA Awards of Excellence 2014. 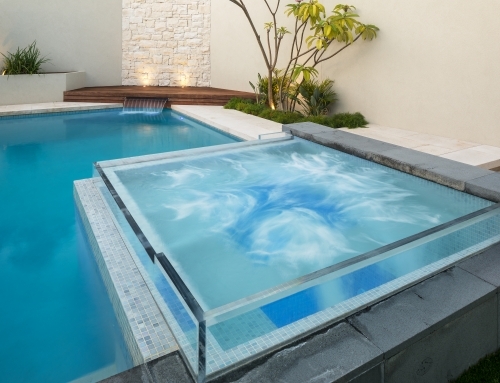 We are really pleased with the excellent service and professionalism provided to us by Pools by Design. 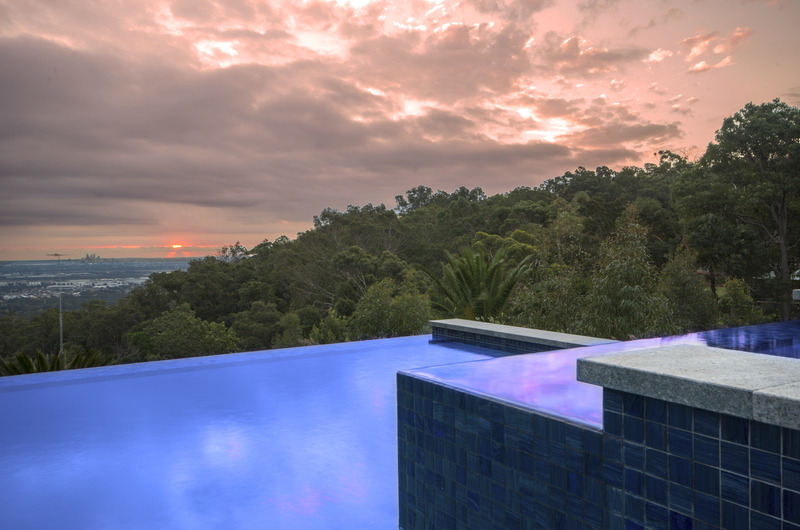 Antony has been really patient and has provided us with excellent recommendations throughout our journey. 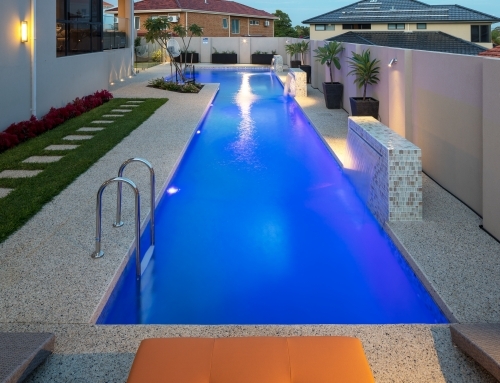 His wealth of knowledge and experience are evidently impressive, we are definitely referring Pools by Design to my friends and colleagues.